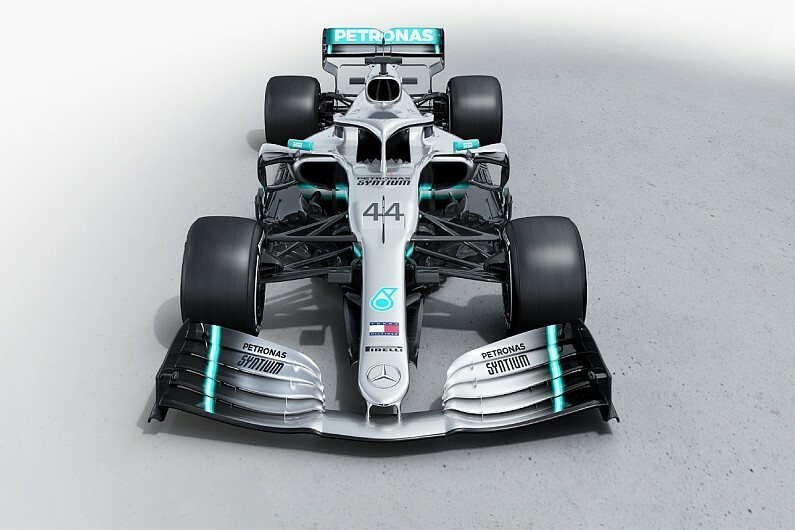 Mercedes has revealed the new W10 Formula 1 car that it hopes can carry it to a sixth consecutive championship double in the 2019 season. The team revealed images of the revamped car on Wednesday, as drivers Valtteri Bottas and Lewis Hamilton began a shakedown at Silverstone. Team boss Toto Wolff said that the new aero regulations coming in for 2019 meant that the pressure had been raised at Mercedes to stay on top in F1. “The 2019 season will be a new challenge for all of us,” he said. “The regulations have changed quite substantially. “We have to start from scratch, we need to prove ourselves again – against our own expectations and against our competitors. “In fact, with the regulation change for the new season, every team can have a shot at the title and we’re seeing all of them as a potential threat. “We’re eager to hit the ground running in Barcelona, to benchmark ourselves against our own simulations and see if our predictions materialise on track. Although the W10 had been adapted to suit the new regulations, it has retained the same wheelbase length as its predecessor. Technical director James Allison said: “A close inspection will reveal that the execution of this concept has been further refined.